We offer a solution that will be connected to your dating site database. Imagine a site member who likes a movie he or she is watching, and is immediately notified if there are people who meet their partner criteria and who also like this movie. Sounds like an ice-breaker. 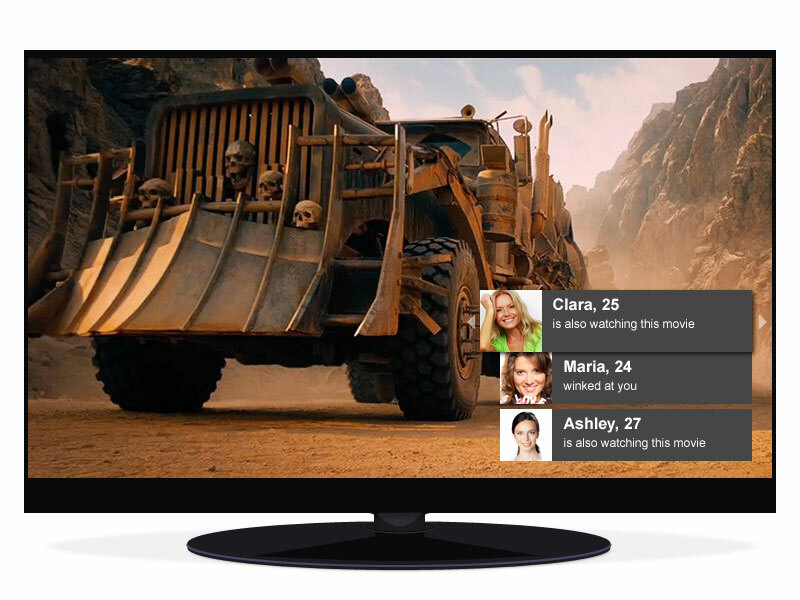 Android TV, LG’s webOS, Tizen OS, and other Smart TV platforms make it possible to connect your dating website to a Smart TV app — via your dating mobile app — and have all the info synchronized. Your site members will be able to manipulate the TV app with a remote controller, directly from the smartphone via the native TV controller app, or with a connected keyboard. 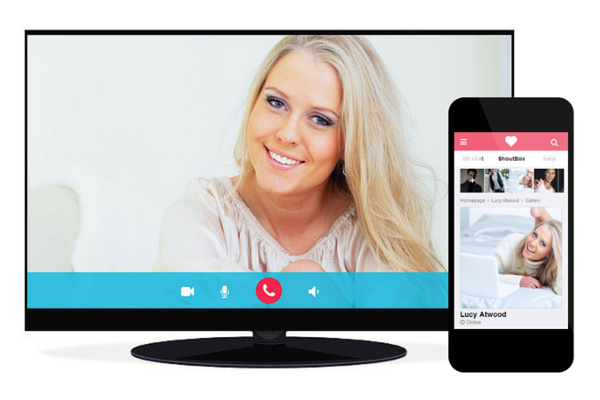 A site member will be able to start a video or a voice chat via TV. 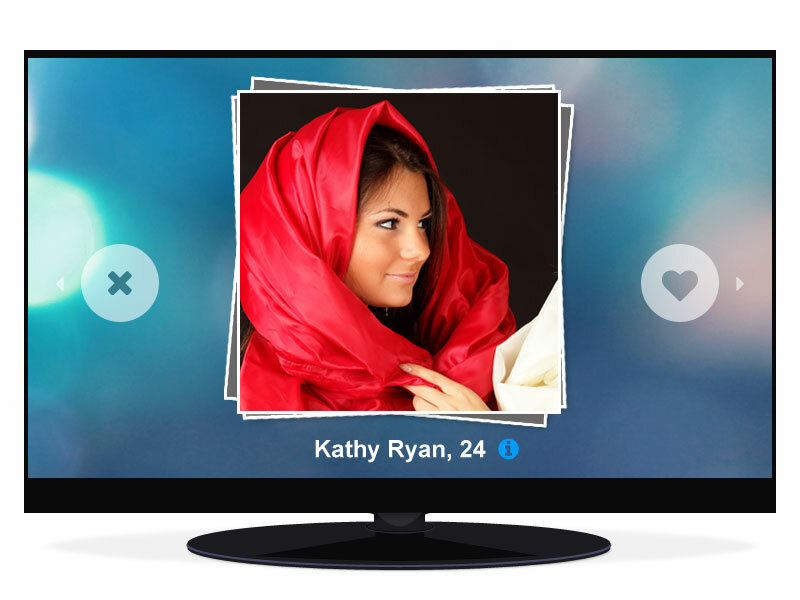 This is how the LikeMe game could look like on a TV screen. Let us know if you want to have this project brought to life and to expand the opportunities of your dating community website.